Casino Tropez is a popular online casino site powered by the renowned Playtech gaming software. With over 250 instant-win and download based games collection, Casino Tropez is rated among the world’s leading online casinos. No matter if you are a newbie user or a veteran punter, Casino Tropez’s offerings have something to satisfy players of all experience levels. This Playtech-only casino was established back in 2001, just when the first wave of online gambling services was taking the entertainment industry by storm. Licensed under the Malta Gaming Authority, Casino Tropez complies with the auditory requirements of Gaming Laboratories International (GLI) – an independent authority on the fairness and authenticity of casino games. Right from a generous welcome bonus, to a wide range of casino games and quick payout terms, Casino Tropez strives hard to make itself as acceptable to the gaming audience as possible. While the platform is not accessible to the residents of the USA and UK, Casino Tropez makes up for the loss by extending its support to a host of other European, Latin American, African and Asian countries. If you decide to give it a try, you will find no lack of entertainment packages to satisfy your gambling instincts. An elegant, responsive and user-friendly theme has been specifically designed keeping in mind the diverse requirements of the gaming audience. The web portal can be accessed from both desktop/laptop computers and handheld devices like smartphones/tabs. HTML5 support ensures a seamless transition between devices of all types, irrespective of whether you are using an Android/iOS phone or a Windows/Macbook computer. Moreover, download option is available for certain games which makes it even more convenient for the users. The content is well-organized and easy to navigate with distinctly visible menu options. Support for multiple languages means you can follow the instructions clearly in your preferred language. Alongside English, Casino Tropez is also available in Arabic, German, Hungarian, Italian, Norwegian, Polish, Portuguese, Spanish, and Swedish, French, and Russian languages. Casino Tropez gives you a welcome bonus that lasts for half a year! It has taken an altogether different route instead of offering a single welcome bonus on your first deposit. The entire bonus package spans over a period of 27 weeks with an overall kitty of $2700. Your first investment guarantees a 100% cash match welcome bonus plus 50% cash back. On top of that, you can avail a weekly bonus of up to $100 per week on subsequent deposits every Sunday for a period of next 27 weeks. To earn the entire $2700 bounty, you need to spend $100 every week for the aforementioned term. That means, when you invest $2700, Casino Tropez will award you another $2700 – so that you can play games worth $5400 overall. You can also earn an extra 15% reward based on the payment method you choose. Instant wire transfers, credit/debit cards, and Sofort payment gateway provide 15% additional cash back, while you can claim 10% bonus by opting for Giropay, Nordea, EPS, EcoCard, Paysafecard, InstaDebit, or UseMyBank. Skrill or Neteller payments do not trigger this additional bonus. There is even a refund bonus for losses incurred with 30X wagering requirement. This means, to receive a $50 refund bonus, you must account for a total of $1500 in wagering. Then there is Club Tropez – an exclusive loyalty program for the active members. There are six different levels that you can climb up gradually by placing more bets. The loyalty rewards include weekly bonus, contests, cashback offers and cash exchange for points accumulated. There is also an affiliate program promoted with the help of Euro Partners. A member can simply generate an additional stream of revenue by referring new members to sign up with Casino Tropez. Powered by the Playtech gaming software, you can enjoy Playtech’s popular television, film, and superhero licensed games at Casino Tropez. Slot machines dominate the offerings, but there is also a good selection of table games, scratch cards, arcade games, and live casino games. There is no sports betting or a dedicated poker room, but still the available selection is diverse enough to cover most of the games that the players usually seek. The slot machines include all popular and classic games developed by Playtech. StarBurst, Safari Heat, Iron Man 2, Gladiator, Incredible Hulk, The Six Million Dollar Man, Robocop, Fantastic Four, and Halloween Fortune are a few of the popular choices. You can choose between as many as 164 different slot machine games. Besides there are 38 arcade games, including classic choices like Penalty Shootout, Dice Twister and Wheel of Light, to revive your spirits if you are tired of the slots monopoly. If you are looking for high-reward jackpot games, then Casino Tropez brings you a collection of over 40 progressive jackpot slots. The Chests of Plenty and The Age of the Gods series have the prospect of earning you the highest rewards. Fei Cui Gong Zhu, Fairest of Them All and Frankie Dettori’s Magic Seven also have 6-digit fortunes to win, if you get lucky. The video poker section offers 12 poker variants to keep you engaged. Deuces Wild, Jacks or Better, Aces & Faces and Mega Jacks are massive hits with the members. Unfortunately, this selection is not included with the mobile casino offering. When it comes to table games, 40 different variants of roulette, blackjack and baccarat games are available for the hard-core punters. If you are a table casino fanatic, then you must check out 3D Roulette Premium, Sic Bo, Tequila Poker, Lucky Lucky Blackjack and Double Attack Blackjack. As many as 22 of these table games are available with the mobile casino version. Above all, there is a live dealer table section where you can place bets on 9 real-time casino games operated by professional dealers. Alongside different flavors of Roulette, Blackjack, and Baccarat, the live dealer section also boasts of massive crowd favorites like the Casino Hold ’em, Dragon Tiger Live, and Three Card Brag games. Casino Tropez supports almost all popular payment options available in the market today. Besides the usual bank transfer, credit/debit cards and PayPal, there’s a huge list of 45 payment options to choose from which includes the likes of EcoPayz, PaySafe, Neteller, PayU, UKash, Skrill to name a few. For the complete list of supported payment gateways, kindly refer to the official Casino Tropez website. The withdrawal section provides you the option to receive payment through bank wire, credit/debit card, PayPal, cheque, MyCitadel, Neteller, Click2Pay, Skrill and Webmoney. There’s a 3 days waiting period before the withdrawal requests are acted upon. Payments to eWallets are usually credited in 1-2 days after the waiting period. Bank transfer and card payments may take up to 3-10 days. Cheques are only available for the residents of certain countries. Please check the list of supported countries before selecting cheque as your withdrawal mode. 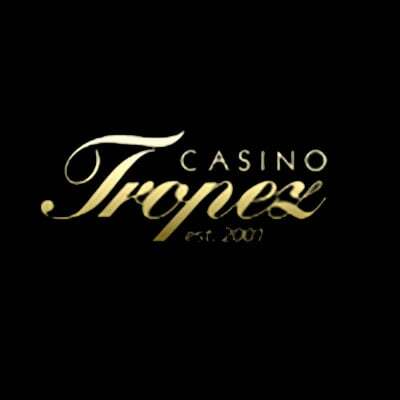 Casino Tropez implements a $9,990 monthly cap on withdrawal that applies to progressive jackpots as well. That means, if you get to win a sum of $50,000, it will take four months for the entire bounty to get credited to your bank account. There’s no explicit weekly cap, as long as you are operating under the monthly limit. Besides US dollars, Casino Tropez also supports Australian dollars, Canadian dollars, Denmark Kroner, Euros, British pounds sterling, Norwegian kroner, Russian rubles, Swedish kronor, and South African Rand. Auto currency conversion feature is available for the convenience of members transacting in non-supported currencies. Member security is a top priority here at Casino Tropez. State-of-the-art 128-bit Secure Socket Layer protection is enabled with HTTPS support. All member account areas, including payment pages, are securely encrypted for preventing sensitive data exposure. The site is well-equipped with virus/malware protection and complies with the stringent security guidelines enforced by the Gaming Laboratories International (GLI). Casino Tropez is licensed under the Malta Gaming Authority. It adheres to the responsible gambling requirements. Minor participation is strictly forbidden. The members must comply with the minimum age requirement of 18 years for the approval of the account. Independent audits have found Casino Tropez games to be fair and accurate – so every player stands a legitimate chance of winning without any bias whatsoever. Customer support is an integral part of any online casino to build trust and confidence among users. Casino Tropez offers dedicated toll-free phone line support available for 24 hours a day, 7 days a week. Customer queries are usually responded to on time and the grievances are resolved amicably. Besides phone support, users can also get in touch via email and expect a response with 24 hours. Moreover, an inbuilt feedback button is also available for sending instant messages. Live chat support is not available at the moment, but you can expect to have this feature integrated in the near future. Casino Tropez has something in it for everyone – right from the newbie users, to ardent gaming enthusiasts and die-hard punters. A series of lucrative welcome bonuses, a huge collection of slots/table/dealer casino games, convenient payment terms, and easy-to-use interface, you probably could not have asked for more! Weighing upon all the exclusive features against the apparent shortcomings, we are of the opinion that Casino Tropez is a worthy contender to deserve a wholehearted mention.